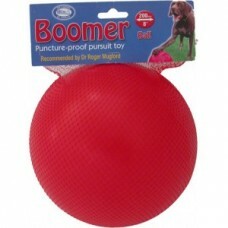 Hooner Sled Dog Equipment - Boomer Ball 8"
The Boomer Ball is the perfect durable, hard wearing toy. It is virtually indestructible and is ideal for those ball-obsessed, toy destroyers; the larger-than-life characters who love to chase and conquer. 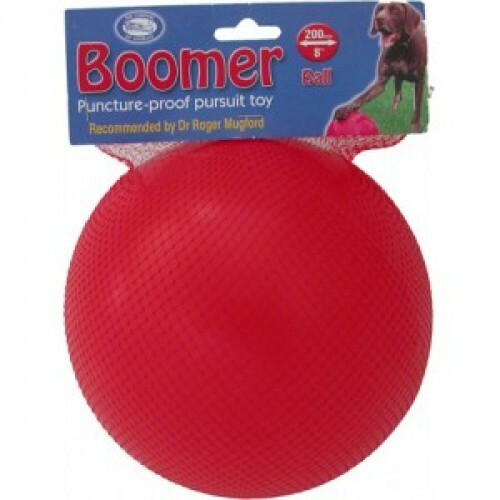 The Boomer Ball is not intended for your dog to carry. It can also be used as a therapeutic toy to enrich the environment of elephants, pigs, polar bears or any other bored, inquisitive animal. Available in four sizes; 4", 6", 8" & 10". The size selected should be larger than your dogs maximum jaw gape.